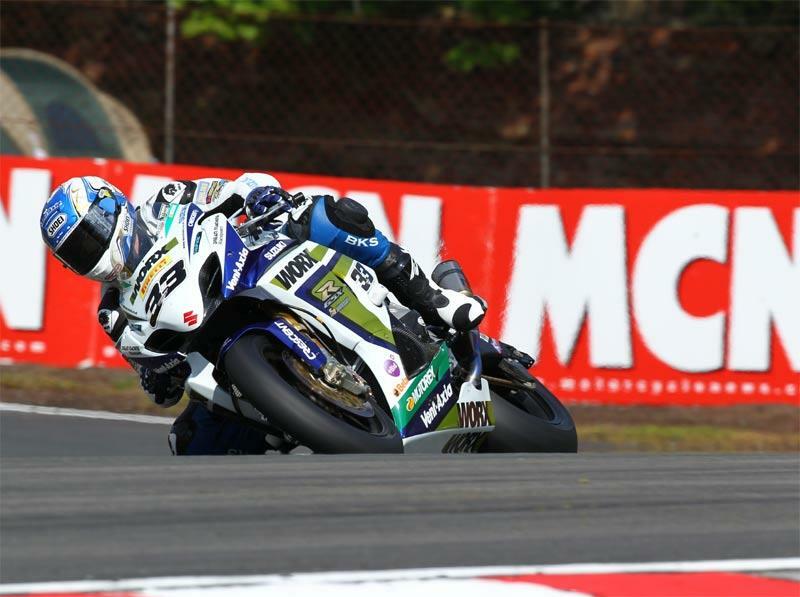 Tommy Hill left it until the final seconds to claim his second pole position of the season on the Worx Suzuki today (Sunday) at Oulton Park in qualifying for tomorrow’s BSB third round. Michael Rutter finished third fastest to claim his second front row start of the season for the Ridersmotorcycles.com Ducati team while HM Plant Honda’s Josh Brookes completing the front row. Tommy Bridewell qualified tenth in his first race back after his Thruxton crash that led to him having his little finger amputated. Bridewell had run fifth in Q2 but a minor technical problem held him back in Q3. Ian Lowry just missed the cut to get in to final qualifying in his race debut on the Motorpoint Yamaha but starts from the third row in 11th place on the grid – one spot ahead of his team-mate Dan Linfoot. Chris Walker wound up 14th in his debut on the MSS Kawasaki, two places ahead of team-mate Gary Mason.